One of the most daunting things about having teenagers is when they and their friends start to drive. At least it is for me. I'm firmly of the opinion that passing the driving test is just the start of learning to drive. There's so much more to learn than could possibly be absorbed during driving lessons or covered in an hour long theory test and a 40 minute practical. All the real learning about staying safe on the road stuff comes with experience. Teenagers, by dint of youth, don't have much experience in very many things and not at all in driving by the time they reach the age when they are able to. And then, having passed their driving test, they want to drive. On the roads. In cars. All. The. Time. And while teenagers may laugh in the face of driving danger with all the joie de vivre of youth, me? Well, I sit at home and worry, like a million mother's before me, about just how safe they are on roads that can be treacherous, particularly in winter. And recent research from Michelin and Mumsnet hasn't improved matters either. In October, a 1,000 Mumsnetters completed a survey for Michelin about tyres and tyre safety. Tyres are, as one Mumsnetter said: "The most important part of the car as they're the only thing connecting you to the road." The survey discovered that safety was a paramount concern in choosing a set of tyres, but 38 per cent of mothers polled didn't know the legal tread depth of their tyres and the same amount only checked the tyre pressure once or twice a year. A disappointingly whopping 73 per cent said they just left their partner to take care of car maintenance. 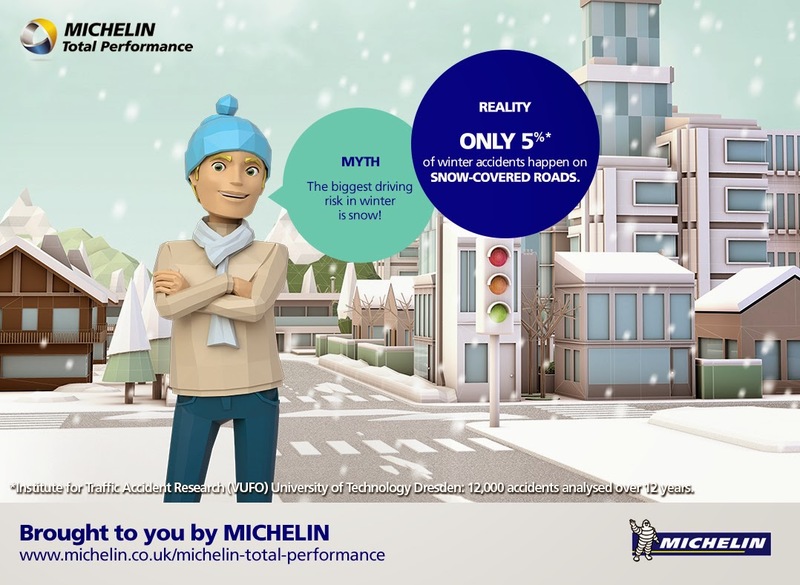 And only 19 per cent understood the importance of tyre labelling as well, which Michelin says also includes a rating for wet-braking stopping distances. Who knew... not very many people apparently. "I feel," said one mum, "that some drivers do not appreciate or understand the importance of making sure your tyres are in good working condition." And I thought if safety conscious mums ferrying their children around don't fully understand tyre safety and tyre maintenance, what hope is there that inexperienced teenage drivers do too? As a start at improving tyre safety awareness for mums and teenagers alike, Michelin, whose Total Performance tyres have a mix of grip, longevity and fuel saving designed to meet everyday driving challenges whatever the conditions, have fitted 3,000 cars across Europe with special monitoring equipment to understand how drivers drive everyday so that tyre safety doesn't end up always being left to chance.